Bleached Remy Single Drawn Hair that we offer is made using natural human hair and is free from chemicals, dyes and defects. 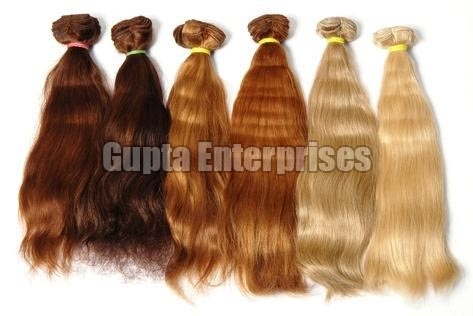 Our Bleached Remy Single Drawn Hair is appreciated by the clients owing to its properties like soft & smooth texture, shiny appeal, detangled, etc. We provide Bleached Remy Single Drawn Hair in different lengths and various color options such as black, brown, golden, dark brown, etc.